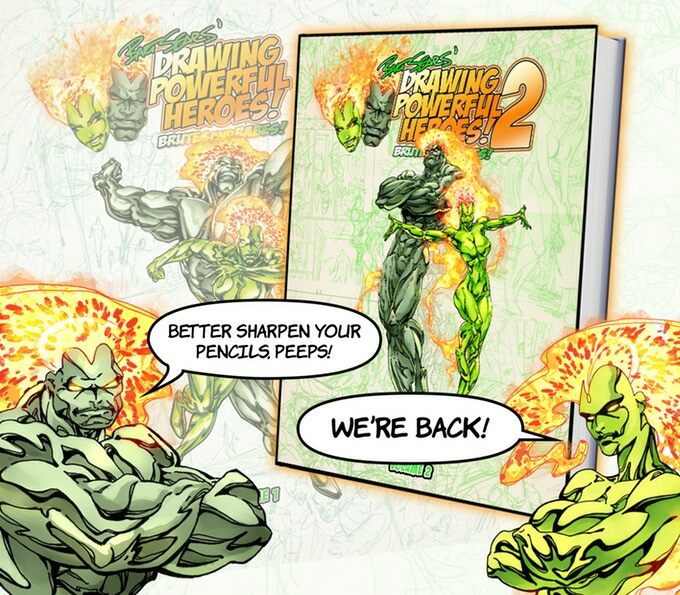 The second volume in Bart Sears’ Drawing Powerful Heroes series of definitive, how-to-draw books by Bart Sears has arrived. This second volume will be a massive, 144-page oversized hardcover, and continue one of the best how-to-draw series ever published. 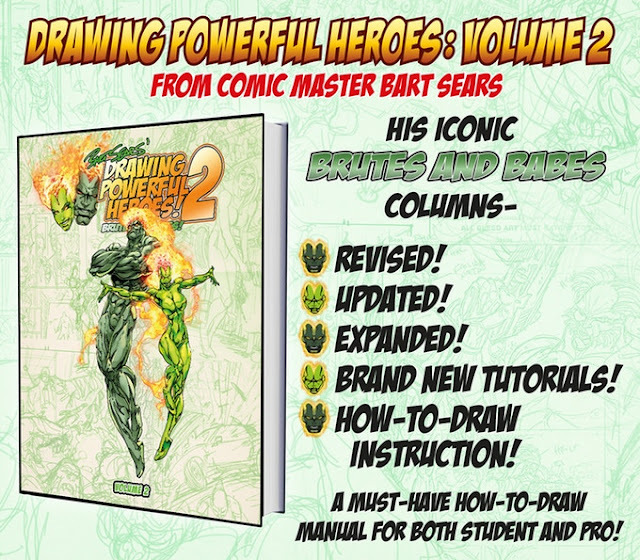 Completely written and edited by Bart Sears, this edition will be perfect for beginners and more advanced artists alike, as well as anyone interested in the art of and creative reasoning behind drawing powerful comics. Through this Kickstarter, and with your help, Bart is continuing his collection of those beloved drawing tutorials. Each of the classic Brutes and Babes lessons have been expanded, updated, and revised, as well as redesigned to make for a much more satisfying reader experience. These expanded tutorials delve into anatomy, storytelling, character design, style, details, basic drawing and much more. As in Volume 1, Bart has written and drawn five completely new lessons for this new volume. These new lessons take an in-depth, Brutes and Babes-style look at male proportion, anatomy, faces, and character design. As part of this project, we are offering the oversized Blue-Line Drawing Guide, featuring dozens of structural drawings by Bart Sears, printed in non-photo blue on a drawing-quality paper, that you can draw right over, right on the page! Draw your own bubble muscles, develop your own finishing style, even ink right in the pages of this book! This 48-page volume is an incredible learning tool, allowing you to study structure as you learn to finish over perfectly-structured figures designed by Bart Sears!